Malaysia-based singer-TV personality Yazmin Aziz is uber proud to be Michael’s gf. 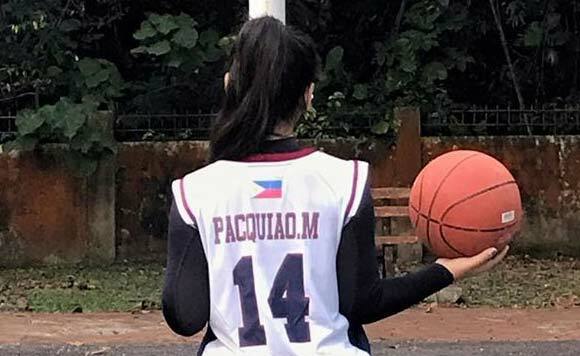 Yazmin Aziz, the girlfriend of Michael Pacquiao, recently showed some love for her beau, Michael, son of Sen. Manny and Jinkee Pacquiao. On her Instagram, the seventeen year old singer posted a photo of her clad in Michael’s jersey. “Proud girlfriend ❤️ #YazChael#AJ3Infrared”, she captioned her post. Michael then responded by throwing in some heart emoji on the comments section. Duterte’s grandson on Trillanes: ‘Di hahabulin ng zombie, walang utak!